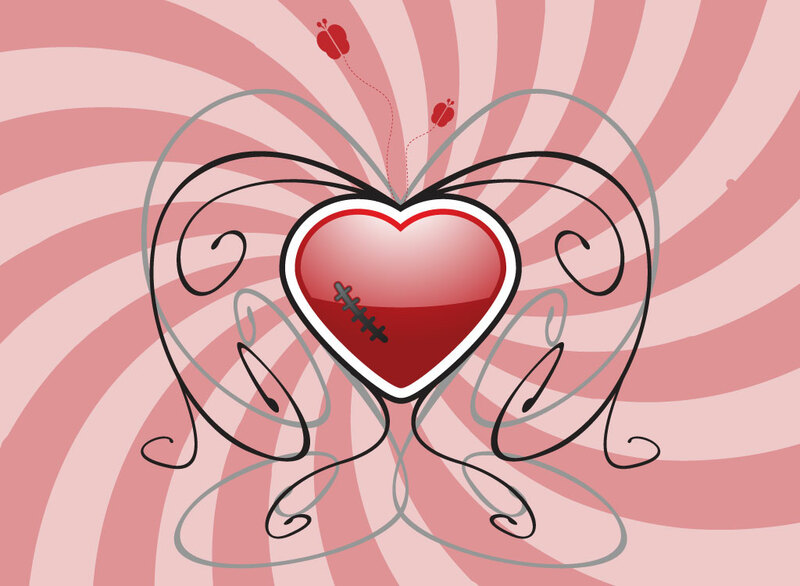 Broken heart vector art illustration for your lost love, broken relationship and lovesickness graphics. This cool abstract design has a heart with stitches. A great symbol that sometimes love can be painful. But it heals and we fall in love again. Tags: Abstract, Heart, Lovesickness, Romance, Scar, Spiral, Stitches, Wound.